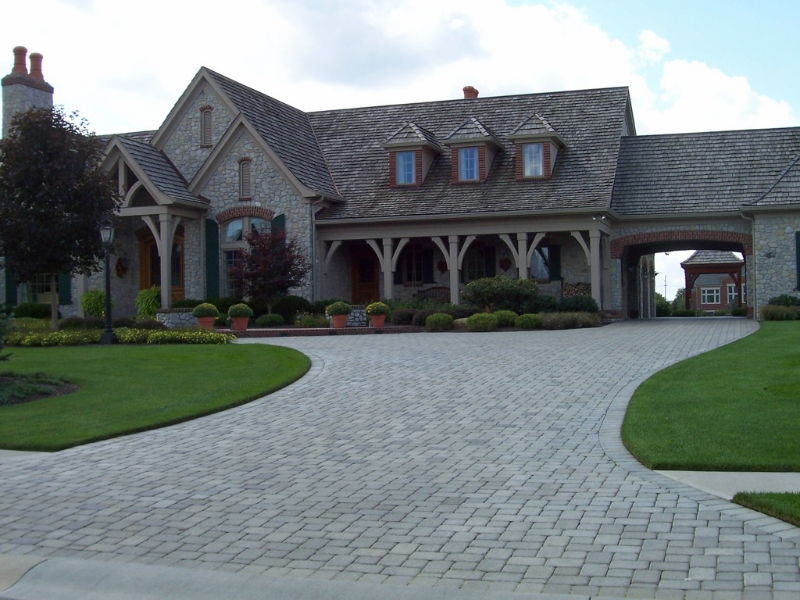 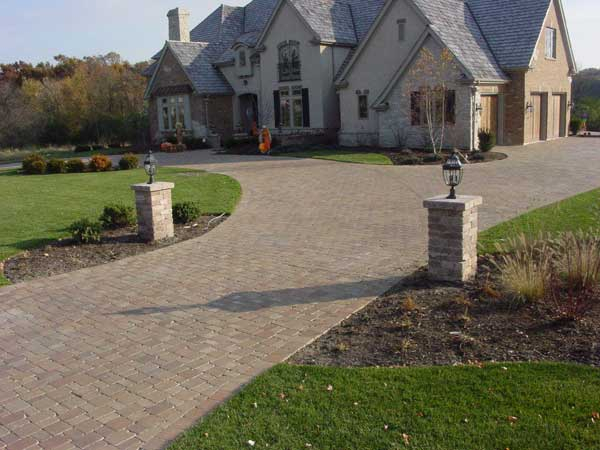 Paver Patio Builder St. Louis MO | Permeable Driveways & Walkways. 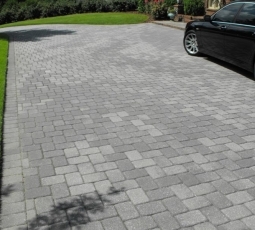 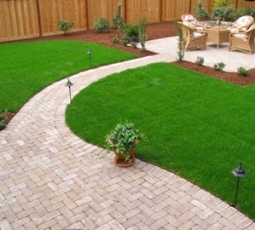 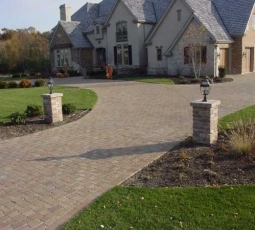 Home » Paver Patio Builder St. Louis MO | Permeable Driveways & Walkways. 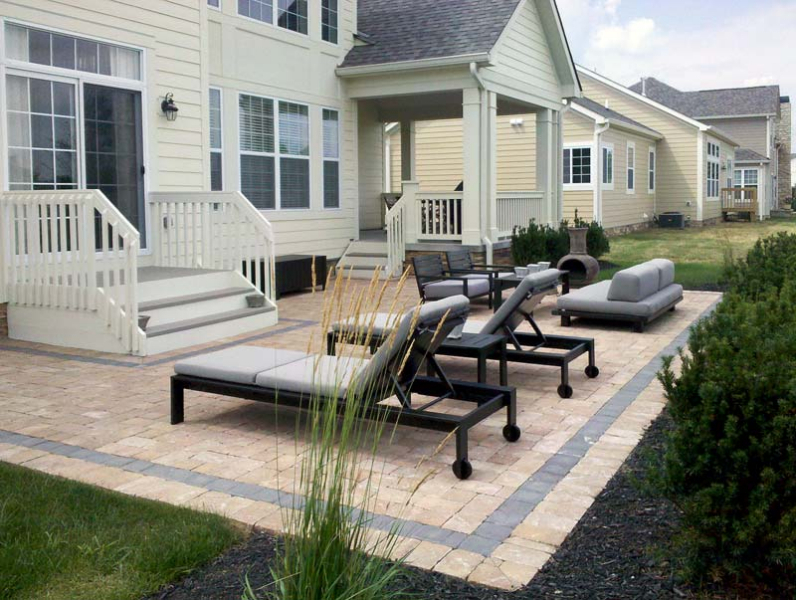 Enhancing your outdoor environment with paving stones is becoming the thing to do. 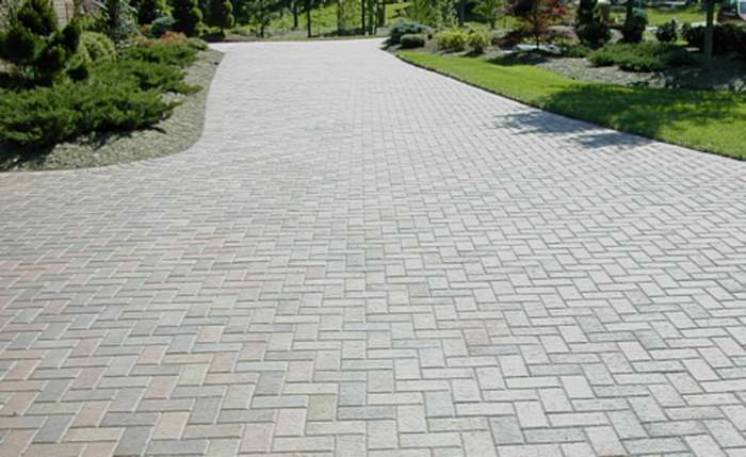 Whether it be a garden pathway, patio, or driveway we have you covered. 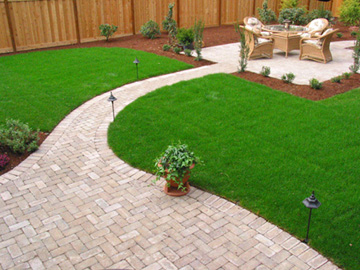 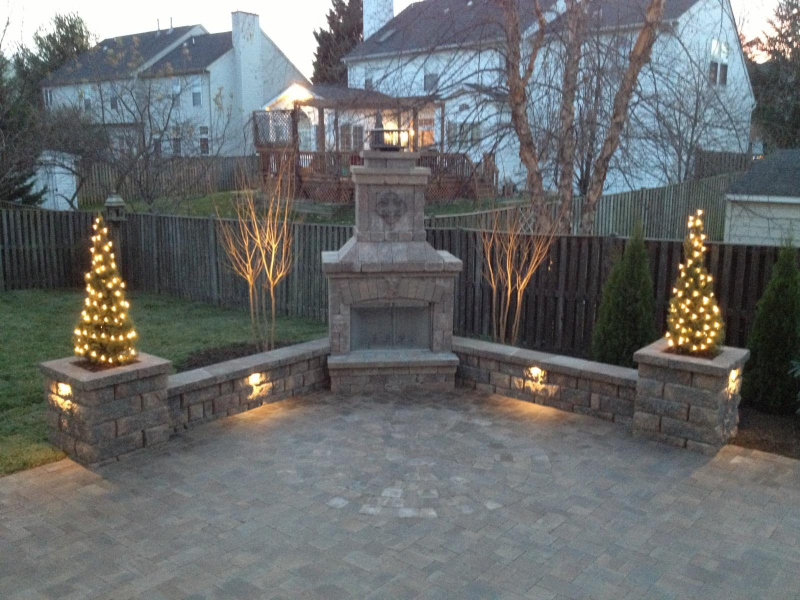 Labor Tech has been providing the highest quality customer service in residential and commercial hard-scape installations for over 25 years. 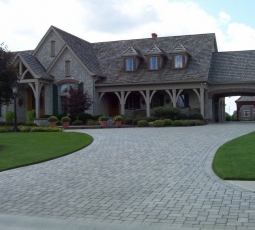 We have the know how and manpower to handle your next project. 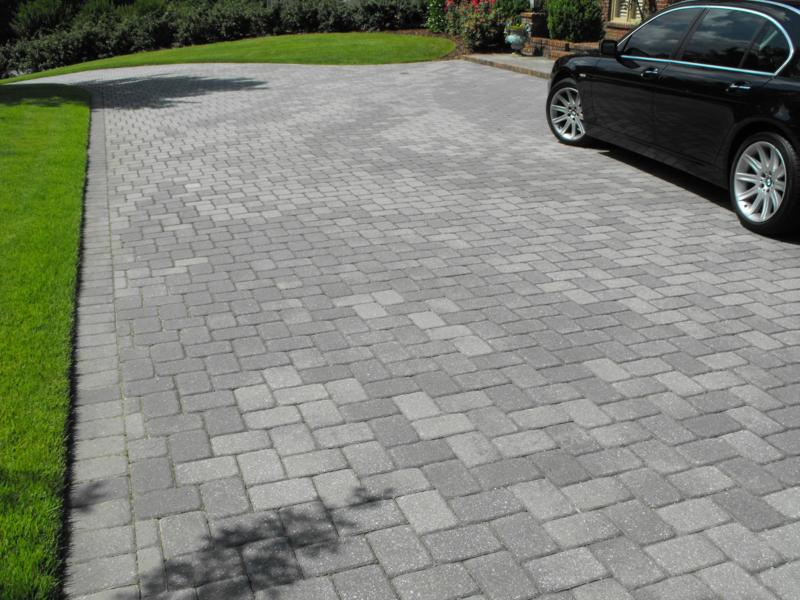 Our installation system and methods are time tested and proven to last. 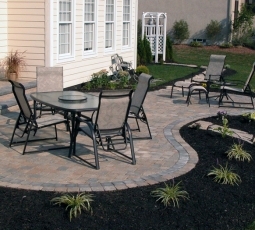 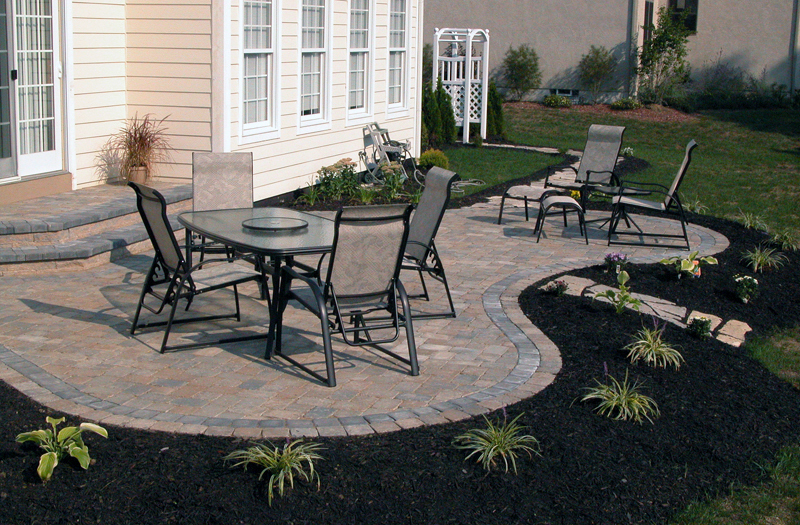 We construct our patios and drives in a way that accommodates future additions. 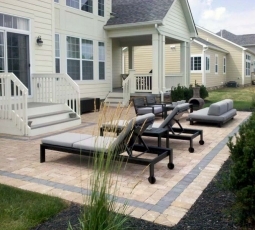 Benefits of Paver Patios and our Construction Process. 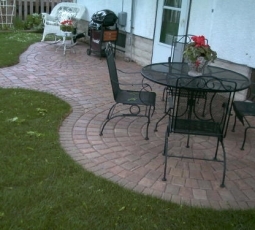 Our construction process along with paver products produces maintenance free and durable results. 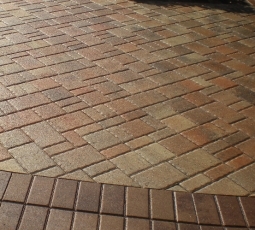 Pavers are the same color throughout the product so they never fade. 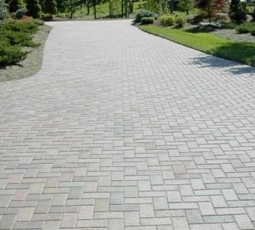 Pavers are rated to build roads, proving their durability. 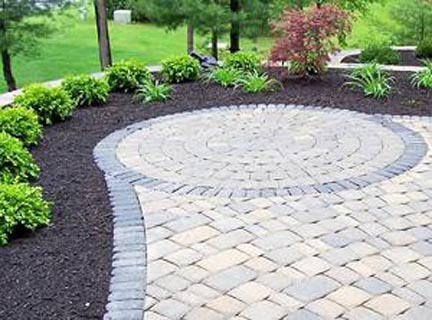 Warning, If you are considering stamped or poured concrete, a few things you should know: over the last 5 years we’ve had to excavate newer stamped concrete and poured concrete patios and drives. 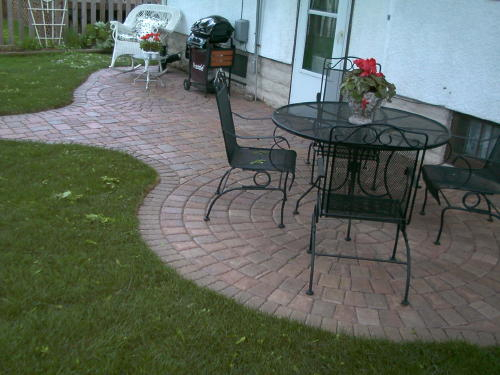 With our experience concrete cracks over time and there are multiple problems with stamped concrete such as chipping, crazing, cracking and color fading. 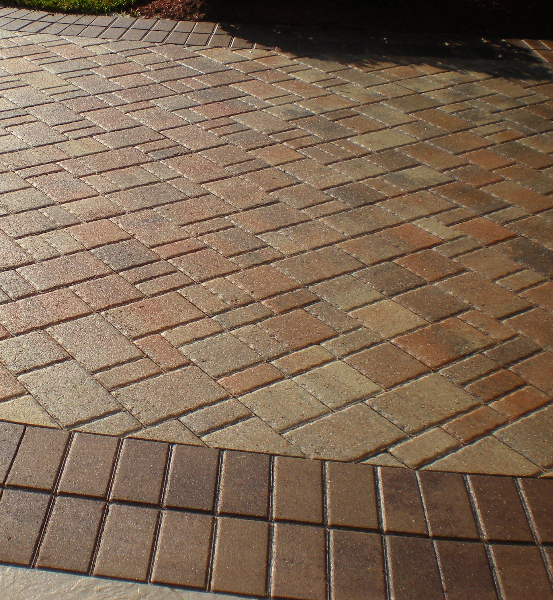 Don’t let those stamped concrete guys fool you, the color is only on the top of the concrete. 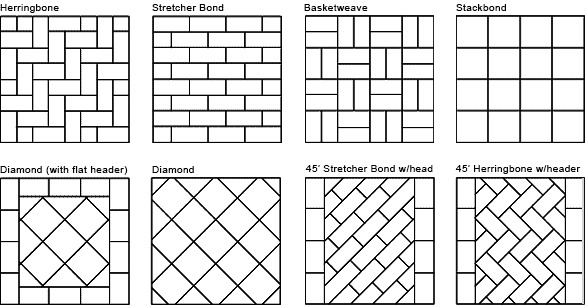 There many more pattern varieties in natural stone such as flagstone and keystone. 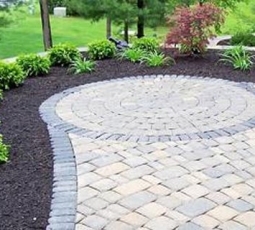 We also do circular patterns like the Rosetta. 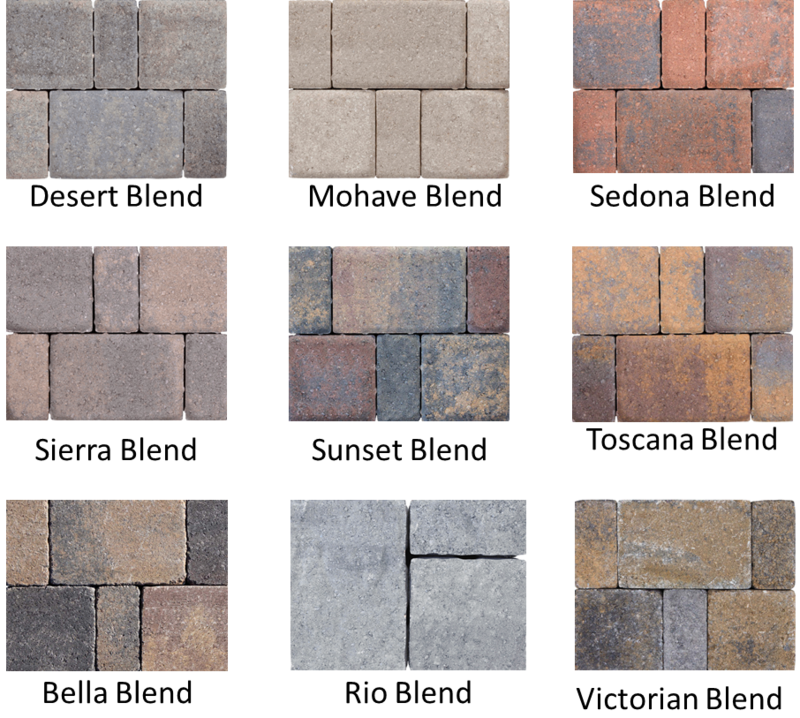 There are a variety of textures available including: smooth, embossed(contains dimples on the surface), tumbled(weathered), tumbled & embossed, slate(looks like slate), and flagstone(looks like flagstone).